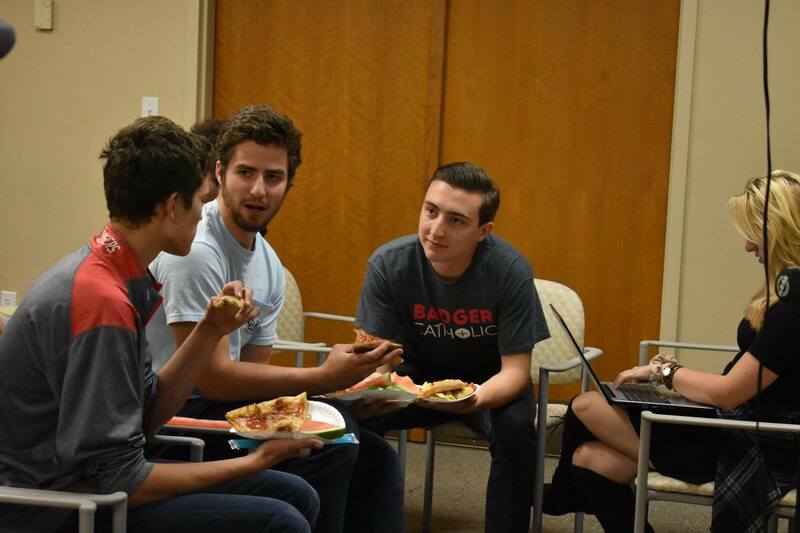 The Badger Catholic Peer Mentorship program offers a peer mentor service to the University of Wisconsin-Madison, which connects highly-trained students with those seeking to learn more about faith and religion. Whether you’re a student looking to learn more about Catholicism, Christianity, or any faith or non-faith background, our peer mentors can guide you in your search. Peer mentors are able to meet on any basis and to accommodate themselves to any student’s schedule. Whether it be for a single one-hour meeting, weekly meetings, or year-long discussions, peer mentors attend to every undergraduate and graduate student’s spiritual needs all over the university. To request a peer mentor, please fill out the to the right and one of our peer mentors will get back to you to set up a mentor time. All requests will remain confidential. Badger Catholic is the Catholic Student Organization at the University of Wisconsin Madison. Our mission is to provide spiritual resources and services to all Badgers at Madison, regardless of faith or creed.